The title will resonate with most of us, from the more religious to the Stephen Fry amongst us! (Yes I went there!). Ask, Seek, Knock = confidence, courage and persistence. It speaks of the confidence to make the need known without fear of rejection, humiliation or disappointment. It encourages us never to limit ourselves to expressing our wants but rather to investigate, analyse and find the way to the desired solutions. And finally, it pushes us to act that we may be heard, knocking; persisting in our quest until the way is made clear and the next stage is within our reach. Ask, seek and knock – three seemingly simple things which when applied can enable and empower us to achieve our goals. However, it’s no easy task! Pride and fear discourage us from asking. Often, we will make excuses or, we simply get caught up in life busyness and have no time or energy to seek. We may timidly knock, maybe even a couple of times though not too loud, but when no answers are received and we get no acknowledgement, we turn back defeated and feeling rejected. I have been there far too many times! I know how it feels to give up on dreams, let opportunities pass me by and silently accept rejection and adapt to the negative without asking questions. This year, I say no more! In the spirit of Doing Hard Things, I have decided that pride and fear are characteristics I can no longer afford, a luxury I am choosing to live without. For, in all seriousness, they nearly bankrupted me. Instead, I’m choosing to be confident! 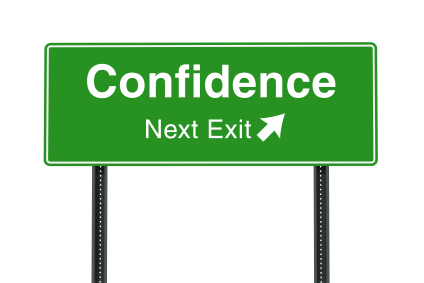 That’s right confidence is a CHOICE; and for those who like me, are not naturally confident, it can be extremely uncomfortable to boldly make that choice. It is almost unnatural. So, the trick is to keep acting it until it’s less scary, less sweaty moments (when I’m scared, nervous I sweat I know its embarrassing !) Fake it till you make it! And you WILL make it! ps: It’s easier for me to act confident for I am a child of God and my confidence comes from the HIM! And you can too.